The complete public safety robotics program management solution. 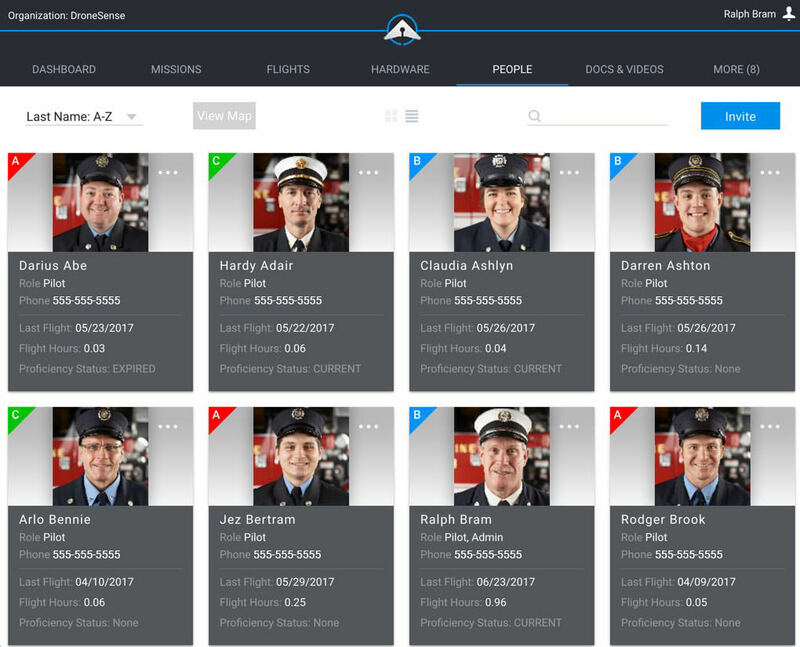 Any flight carried out using the Pilot app is automatically synced and logged in AirBase. Review flights in detail with our replay engine, including the flight path, all telemetry, and any uploaded media. Visualize your camera’s field of view during the entire flight. Track pilot hours, battery packs, payloads, historical weather and more. 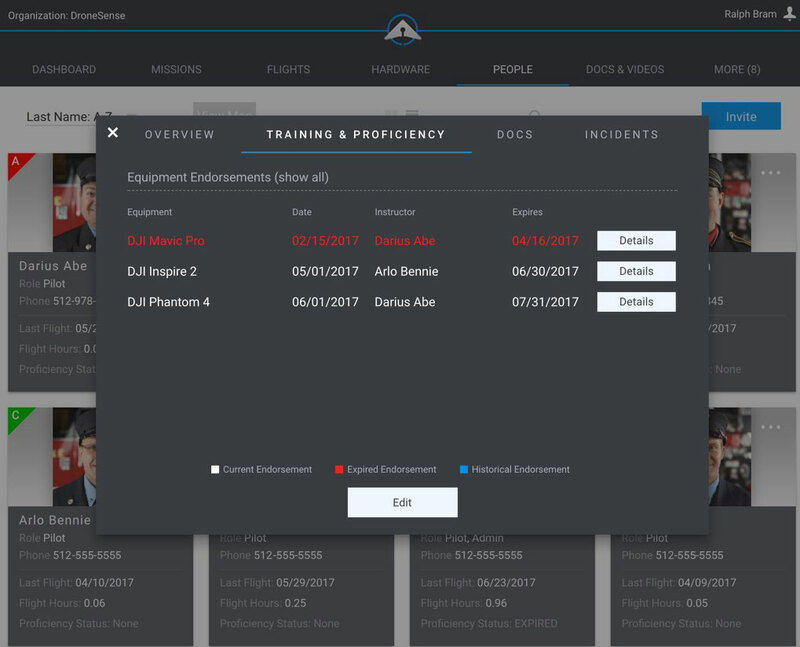 All details of every flight are organized and recorded in our intuitive and powerful system to ensure full accountability, enable complete auditing, and even capture training opportunities. 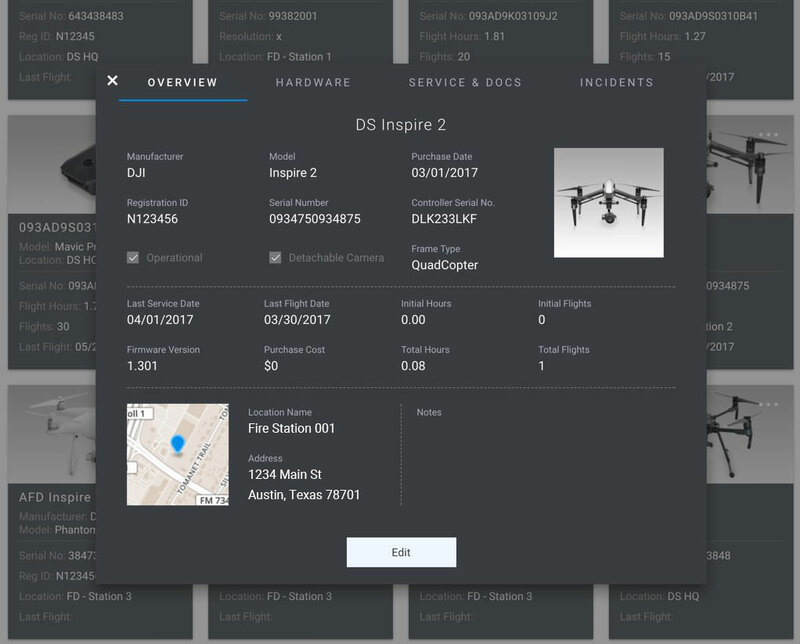 All your drones and associated equipment, organized in one place. Our hardware management system logs each asset, tracks its location, documents maintenance activities, and also automatically applies hours against each item after every flight for accurate recordkeeping. This feature helps you stay on top of your equipment from all angles, and can help reduce risks during flights. 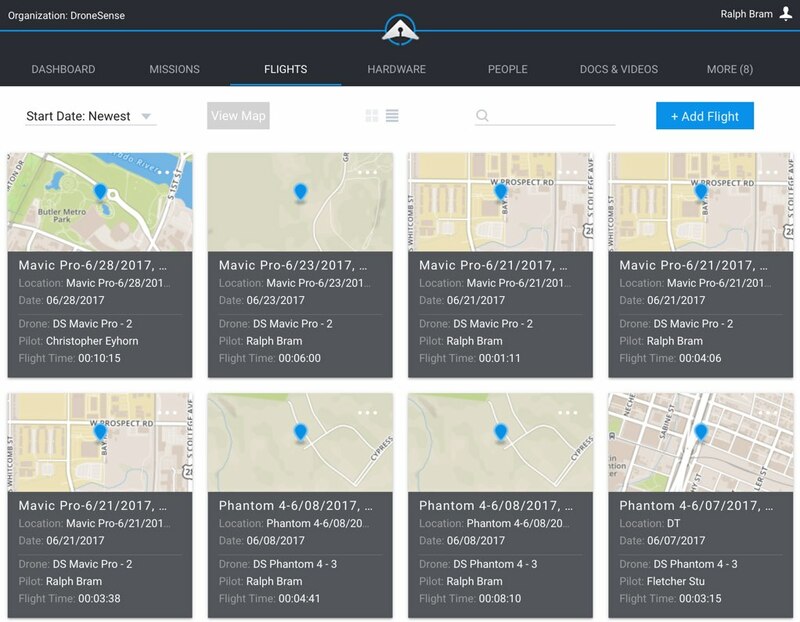 After you use our Pilot app, all your flight data automatically syncs to the appropriate users in AirBase. 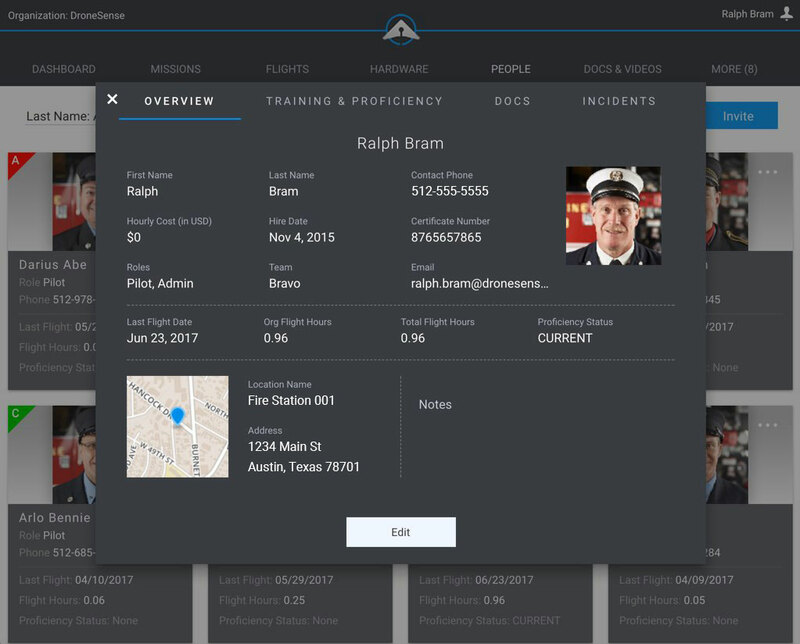 As your organization grows, invite new pilots and members to create an account and profile and customize their permissions. 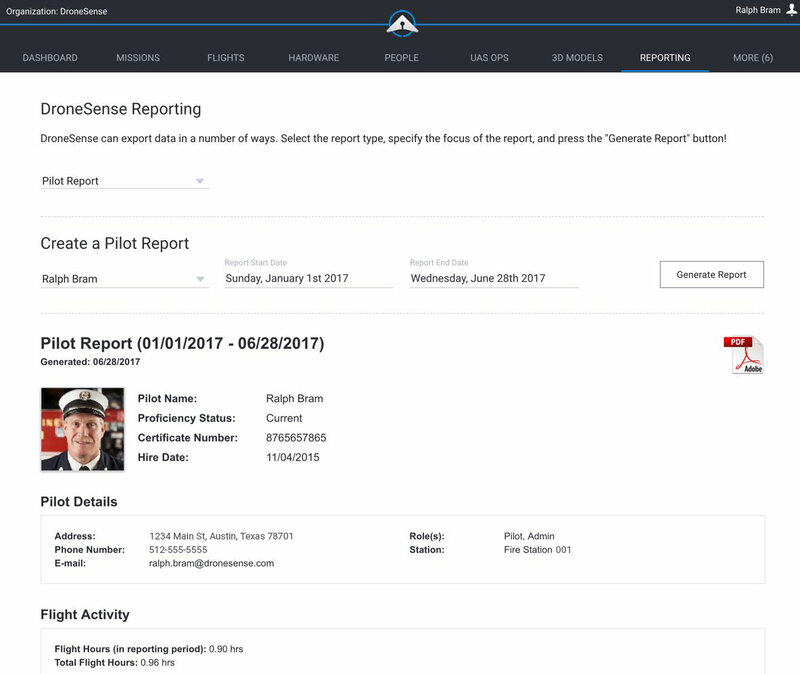 Track roles, total flight hours, currency and proficiency, primary location, incidents, and associated missions. Save time by creating and filing Notices to Airmen (NOTAMs) online in seconds. Store all previously submitted forms and make changes to active filings, including area or duration, with just a few clicks. Include a custom e-mail distribution list to give other stakeholders notice of your drone operations. We have integrated directly with Leidos Flight Service (formerly Lockheed Martin) to incorporate this functionality. Train, track, and empower your personnel. Easily set up endorsements on specific equipment, including expiration dates. Quickly evaluate and ensure pilot currency, and always know whether the team is properly prepared to participate in missions. Establish and enforce policies and procedures that fit your organizational requirements. 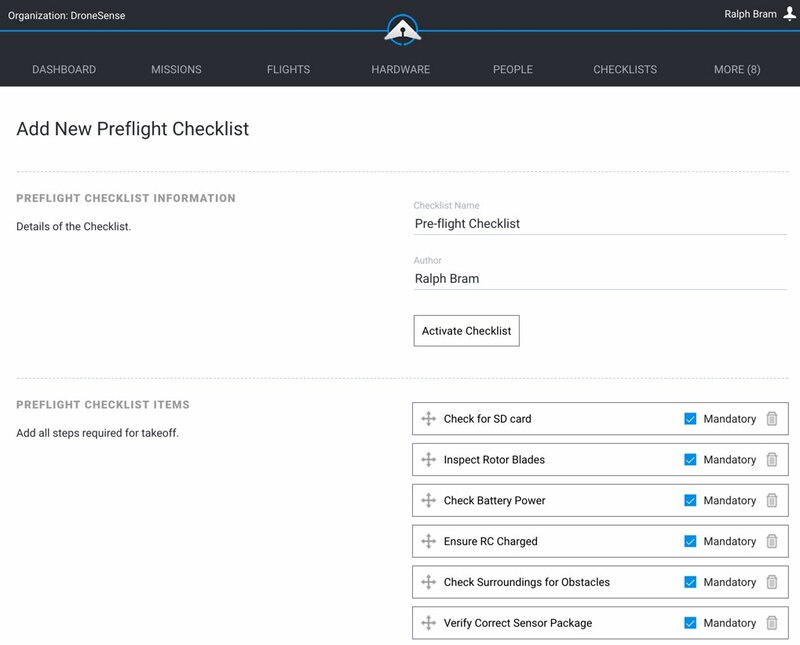 Create custom pre-flight checklists for pilots to ensure safety and accountability, especially in the event of an accident. Manage risk and maximize efficiency with maintenance checklists and procedural documents readily available to everyone. 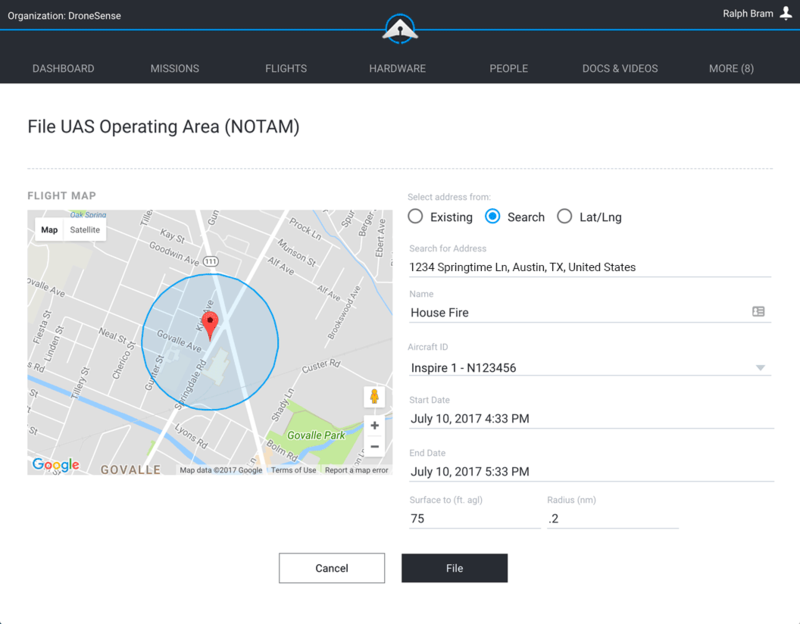 Everything you need to establish and operate an efficient drone program with greater transparency in a centralized location. 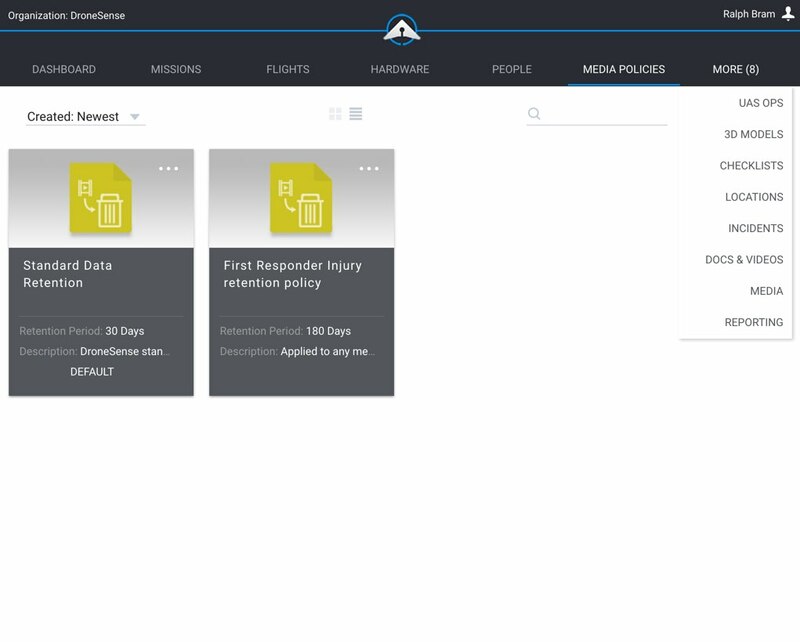 Set and assign specific media retention policies for any images or video collected during flights. Easily upload media via simple drag-and-drop, and all files automatically associate with the correct flights. After the retention period has expired, the appropriate media will be removed automatically from storage. You have complete control over which media is uploaded to the cloud -- nothing is automatic. All media is encrypted both during storage and transmission, which helps ensure the proper evidentiary chain of control. Select and group individual uploaded flights logs and associate them under a single mission identifier. Choose which team members were part of each mission. Now you can determine the total cost of the mission, based on personnel wage rates and equipment used. Know who was involved in each mission, what equipment was used, see the pertinent flight logs and gain insight to the total cost of your robotics program at a granular level. AirBase’s comprehensive and flexible data collection makes it easy to create custom reports with just a few clicks. 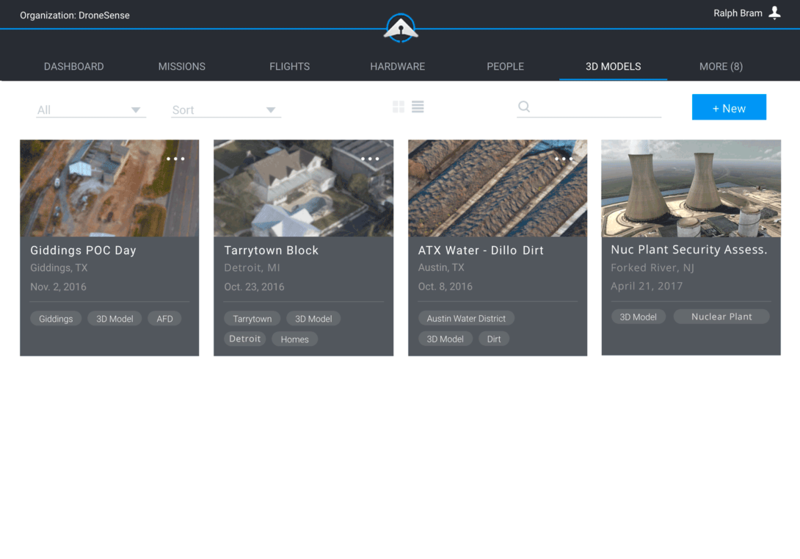 Quickly see the details around a particular drone, pilot, mission, or any incident. Create reports specific to your local, state or Federal regulatory requirements, or to satisfy internal compliance and other requests. Export to a PDF and share with any pertinent stakeholders on demand. Always know when something did not go as planned. Incident tracking makes it easy to identify trends, recognize gaps in training, and anticipate equipment issues. Associate incidents with the pertinent personnel and equipment, empowering your organization to learn faster, plan any necessary follow-up actions, and mitigate risks in the future. 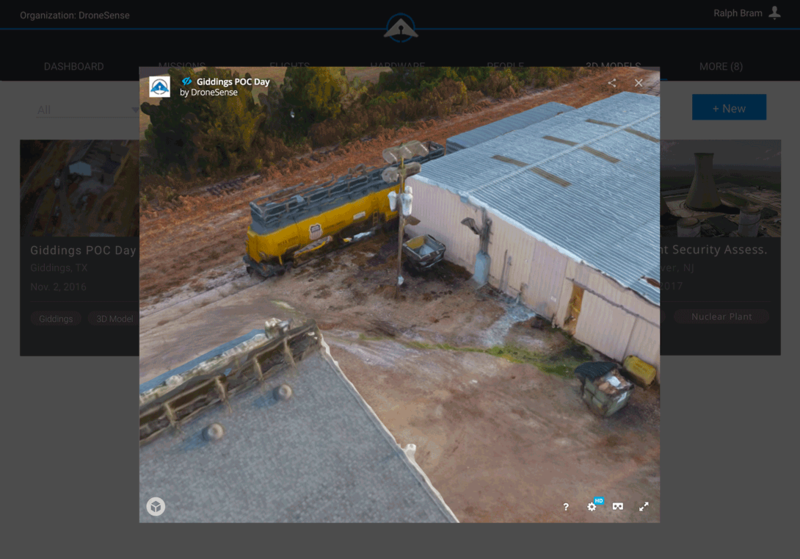 Store and access 3D models created through autonomous flights conducted with our Pilot app. Use these 3D models to plan a tactical response, analyze change detection over time, or review details of a scene such as an accident reconstruction.